One of the best parts of childhood is playing dress up and pretending to be anyone from a princess to a pirate. Dressing up in fun outfits can help encourage imagination and pretend play. 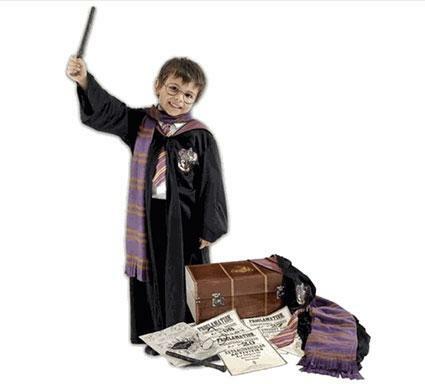 Encourage this imaginative play with a dress up set that includes items that suit your child's interests, and comes with a trunk for easy storage and portability. 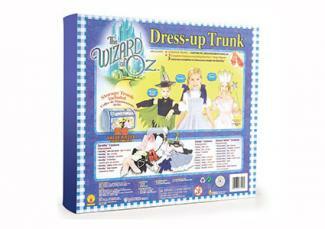 The Wizard of Oz Costume Trunk: Let your child spend the day outfitted as one of the characters from The Wizard of Oz with this $25 trunk set. The set comes complete with a Dorothy outfit, but also comes with both Glinda the Good Witch and Wicked Witch of the West costumes. If you have boys and girls, you may want to add the Tin Man costume or the Scarecrow costume to your set. Aimed at kids three and up, the costumes are "one size fits most" children. The set has mixed reviews on Amazon, with some consumers commenting that while it says it is a 28-piece set, that sleeves and collars are separated, meaning you don't get as many pieces as you might think. Little Boy's Dress Up Trunk: While not readily available on other sites, the Bean Bag Store carries a cardboard trunk filled with pirate and cowboy costumes and accessories. You also have the option of purchasing separate costumes such as a race car driver, train engineer, ninja, SWAT team member and much more. This set is for ages three and up and the site states that the chest measures 14 1/4"W x 21-1/2"L x 12"H. This set runs about $75. Reviews on Insider Pages for this store give them 4 out of 5 stars, though there were no reviews for this specific set. 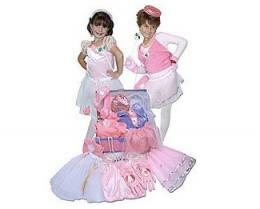 Dress Up For Girls Princess Trunk: This generic princess trunk is a nice addition to any little girl's toy collection. It includes outfits to dress up like a princess, a model, a bride, a movie star or a southern belle. The set runs for about $65 and comes with a cardboard trunk. It has an average of 4.5 out of 5 stars based on customer reviews, with comments like "We gave this gift to my goddaughter for her 3rd birthday and so far it is her favorite gift, even more than her dollhouse!" The biggest concerns were with the quality of the clothing and that they were sheer, so would need to be worn over other clothing. Children are often incredibly imaginative. A girl can dress up as "mom" and then serve tea to her favorite dolls and stuffed animals with her toy tea set. 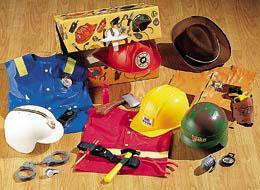 A boy may want to dress up as an astronaut and use an old box as his space shuttle to fly him into outer space. Dressing up is an activity that children can enjoy as a group and one that includes both genders, which makes it perfect for rainy afternoons and long summer vacations. You never know what they'll pretend to be from one day to next.